PPC (Pay per Click) advertising enables you to bid on keywords in order to get good ranking in search engines. The bid cost is paid all that some person click on the promotion ads. Google AdWords and PPC marketing is great way to make your business reputation and valuable online presence. 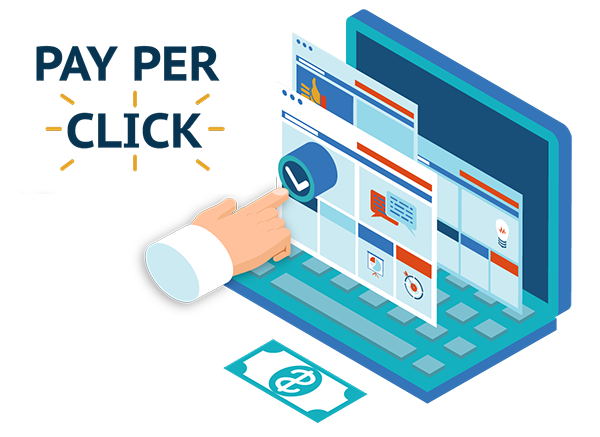 Promote your products and services viably to shoppers with Pay Per Click advertisements. With our PPC Consultation, we endeavor to comprehend the restrictive needs of your business to build up a viable and result-situated PPC technique. The pay per click marketing strategy includes assessing your business and think of an answer for add to your general business development. We are the leading providers of PPC management services to convert your web traffic in sale. At Today Infotech, we trust that our our PPC services are everything that you have to open up your sales graph. Build up your Pay Per Click campaigns at reasonable costs. Our PPC management services offer you bulk of online traffic through Google Adwords.